I know its not winter yet, but I started to think about what to do with my boots when I take them off. I know alot of people have done the Martha idea, which I might do but I'm afraid of water just sitting there and rusting. But, are there any other ideas out there?? 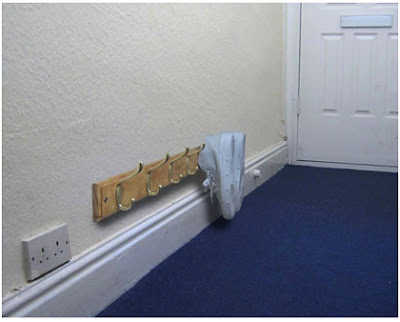 Has anyone has done something different that can work for an apartment or small entry space... please share! Great idea!! 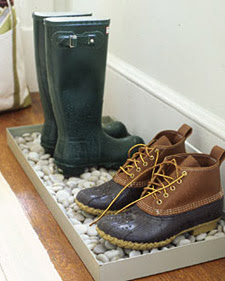 It's the perfect place to keep your boots safe. love the tray from smith and hawken or an inexpensive cookie tray filled with stones.